As part of our ongoing drive to improve the quality of yoga practice not only at the Vedanta Yoga Centre but Cyprus as a whole, we have started a collaboration with Gokarna Yoga School in India. Certified Iyengar yoga teachers, Stefano, Francesca and Mirja will be visiting Cyprus for one week per month to provide us with weekend workshops and classes during the week. Please note that bookings and payments online will not attract a membership discount for cash paying members! I hope this finds you in good health and spirits! First of all, we would like to turn your attention to why we are making the changes? We are making these changes mainly for two reasons. 1. We feel it is time to focus more on you, the Centre has reached a stage in its growth where this is now possible. This will mean a more personal experience and also a more fulfilling and rewarding one for you. 2. 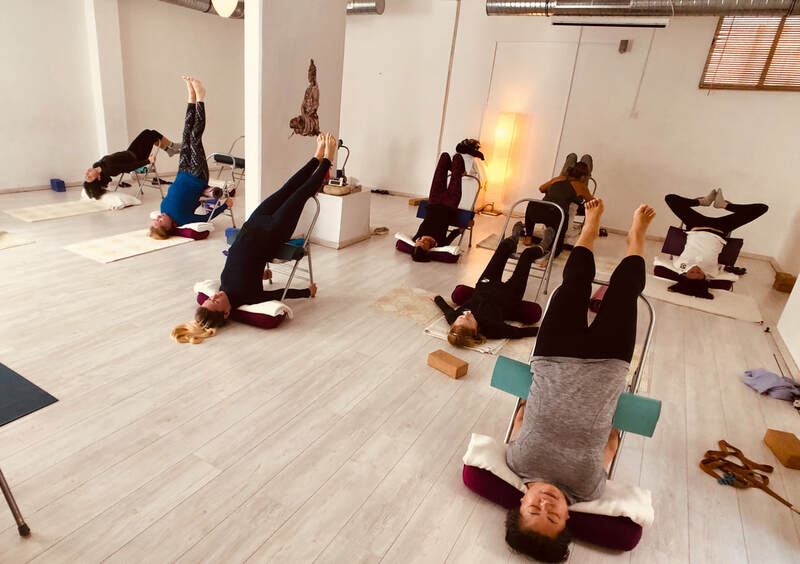 It is also our firm belief that the most important ingredient in one’s yoga practice is, regularity of practice, so we are making the membership process easier so you can focus on your practice rather than on administrative matters. To further enhance this we are going to build a Vedanta Community (on FB and the website), so that we can all support each other. A regular practice needs the right support, to help you grow and flourish. + An allocated teacher will take care of your class and needs, which will include a one to one personal consultation and ongoing support. + Free downloads will be available through our restructured website, full of enlightening information on yoga related subjects to further enhance your knowledge and yoga experience. + Access to our members only, Vedanta Community Facebook group, for more information and communication. + To reduce administration time and for your convenience payments will be made monthly by direct debit through a six month or our twelve month annual package. The new membership plans will start from Monday 29th May 2017. You will be contacted next week, if your current monthly plan runs out in the week commencing 29th May. An appointment will be made with a teacher to explain the new membership plans. Appointments will be made in subsequent weeks for those whose membership falls in the weeks following the 29th May. We value and thank you for your attendance, dedication and co-operation.